I couldn’t be more thrilled to welcome Phil Fernandez, co-founder and former CEO of Marketo, as a Venture Partner here at Shasta. As Venturebeat noted this morning, Phil is a luminary in the technology industry who, along with co-founders Jon Miller and Dave Morandi, built Marketo into a billion-dollar public company. There are very few in enterprise software with Phil’s experience and expertise in creating category-leading software-as-a service (SaaS) businesses. In his new role, Phil can fulfill his goal of giving back to the entrepreneurial community by sharing product & go-to-market strategies with SaaS founders and our firm’s portfolio companies. Phil is an ideal fit for Shasta Ventures’ well-established enterprise software team. We’ve invested heavily in entrepreneurs building best-in-class enterprise application and infrastructure companies—both areas where Phil’s experience will serve as a powerful asset. He allows us to double down on supporting our enterprise investments including breakout companies like Anaplan, Apptio, Glint, Lithium, Leanplum and Zuora, among others. Over the past three decades of his career, Phil succeeded in numerous roles including entrepreneur, engineer, product leader, marketer, and CEO to name a few. The depth and variety of his expertise is unparalleled – not only spanning operating disciplines, but also covering the many and varied stages of a company’s growth. Phil and his team built Marketo into a significant platform company that fundamentally transformed the Marketing industry. Prior to Marketo, Phil served as President and COO of Epiphany, a pioneering marketing software provider. Bringing Phil on board is exciting for me personally. I met Phil and invested in Marketo back in 2006 when it was three founders and a Powerpoint deck. 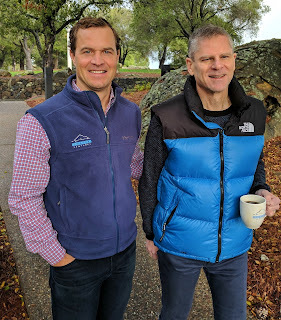 For me, serving on the board of Marketo with Phil has been one of the highlights of my venture career. There aren’t many enterprise software companies out there that have grown to more than $250 million in revenue – ­which is exactly what Marketo has done. Phil is one of the few founders who has taken a company all ­the way from idea through hundreds of millions in revenue, an IPO, and a successful sale. He has lived and managed through all the stages of a startup’s growth, which makes him an invaluable resource for any startup. Phil is a great fit for Shasta because we look for entrepreneurs with unique market insights and the ability to build a highly differentiated product and user experience. Now in his new role, Phil can help entrepreneurs to navigate their own startup journeys. The greatest reward as a VC is the ability to back a talented team and be a part of their journey or, even better, to watch them become successful and then back them again in their next endeavor. Working with Phil at Shasta now takes this to the next level. It’s the ultimate honor.